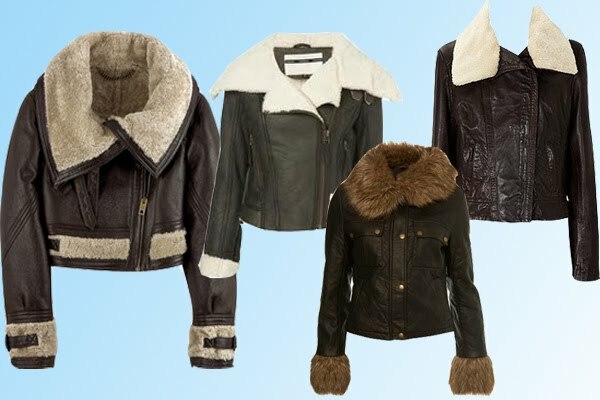 Since February, one AW 10 trend has been a dead cert – the aviator jacket. British heritage super-brand Burberry is the reason for this, their luxe, pure sheepskin, leather version instantly topped every fashionista’s lust list. With the buzz building and growing, smart retailers took note and everywhere from Reiss to Topshop to Primark has aviators in. Which has quite frankly turned me off them, with aviators so readily available everyone and their mother will be wearing them. Who wants to be a fashion sheep?! It’s such a shame, as they are terribly practical, I certainly could have done with a cosy sheepskin coat during the heavy snowfall last winter. But there are plenty, plenty of options for those who want an alternative to aviators. Here are my top picks. I am loving Navajo jackets, parkas and duffle details at the moment. You certainly can’t beat a classic belted trench. I have a gorgeous black cape from last year which I will be resurrecting but there are so many lovely ones out at the moment. Will you be buying into the aviator trend or going for something different? All the aviators I want are so flipping expensive, so I'll be investing in a Barbour esque jacket instead. I wouldn't mind a classic trench too, hoping to find a charity shop bargain! I'd go down the cape rout, but not for the depths of winter. I'll need something cosier. Will probably ust get out my old faithful French Connection wool coat if I'm honest. The Burberry ones are quite delicious though! Love them all esp. the timeless belted trench! I tried on the one in Acne just to see, but it was cut too weird for my body. As much as love the look of them, they are not quite my cup of tea, and I definitely don't want to be hopping on the bandwagon.